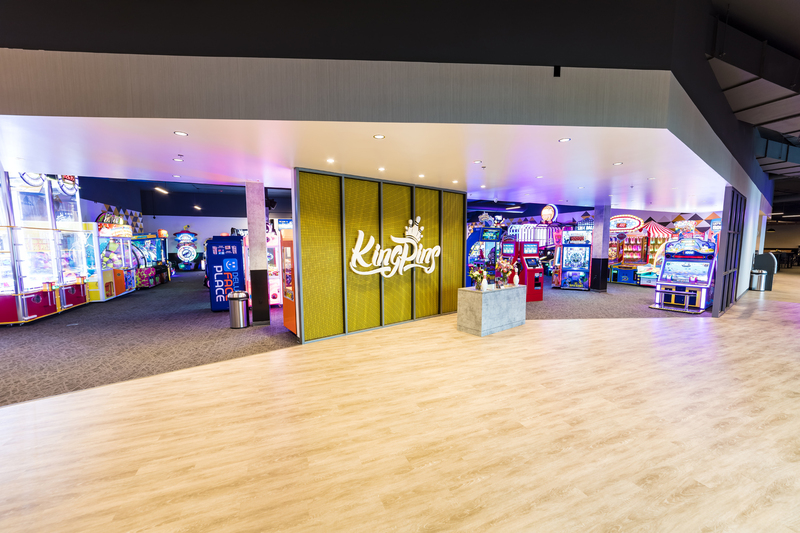 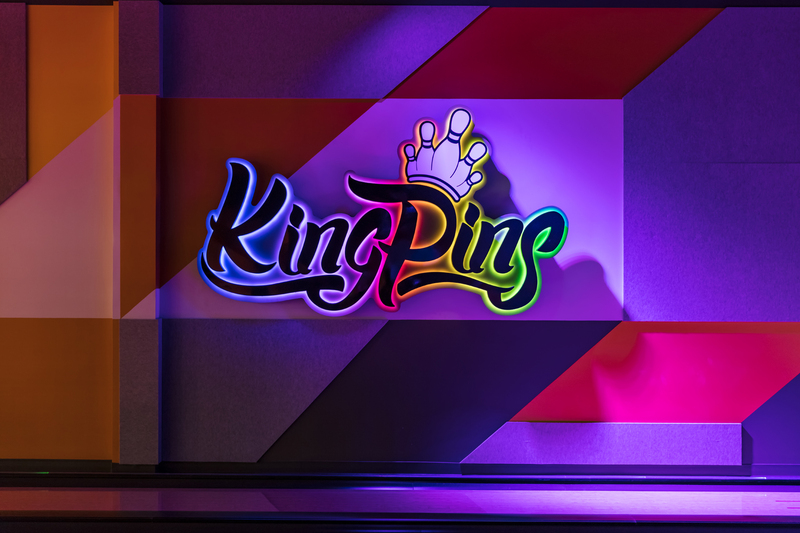 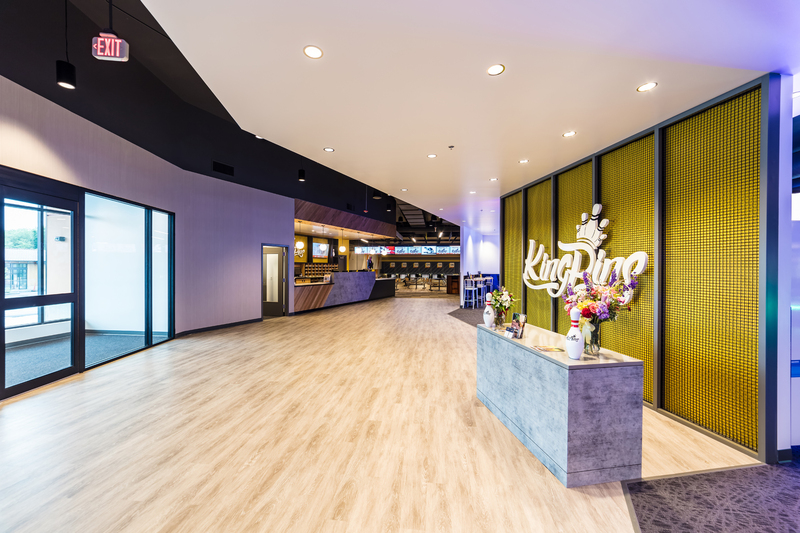 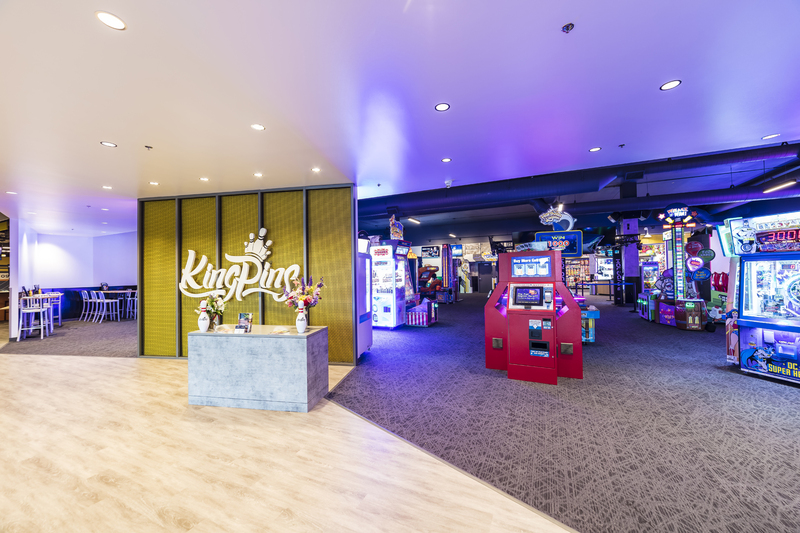 Entertainment - James E. John Construction Co., Inc.
King Pins. 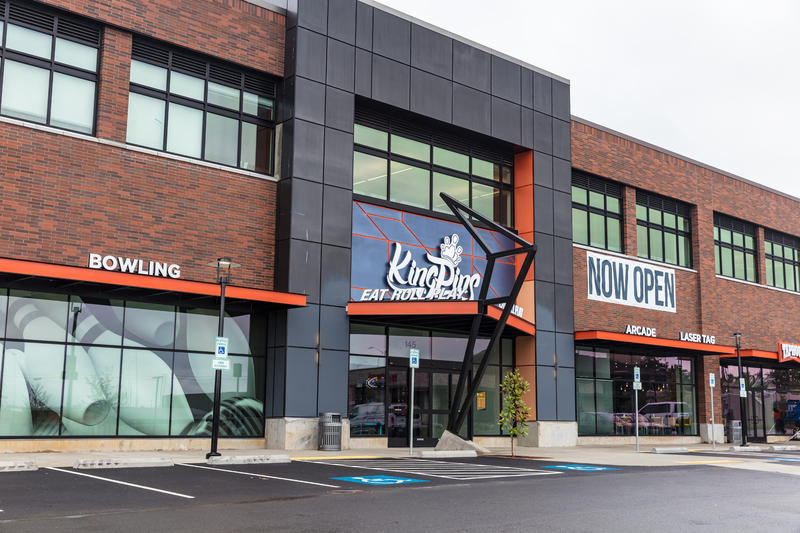 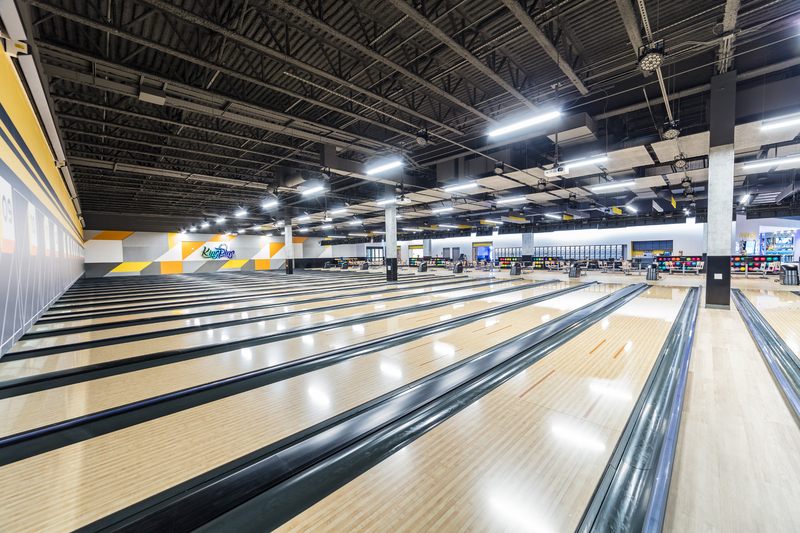 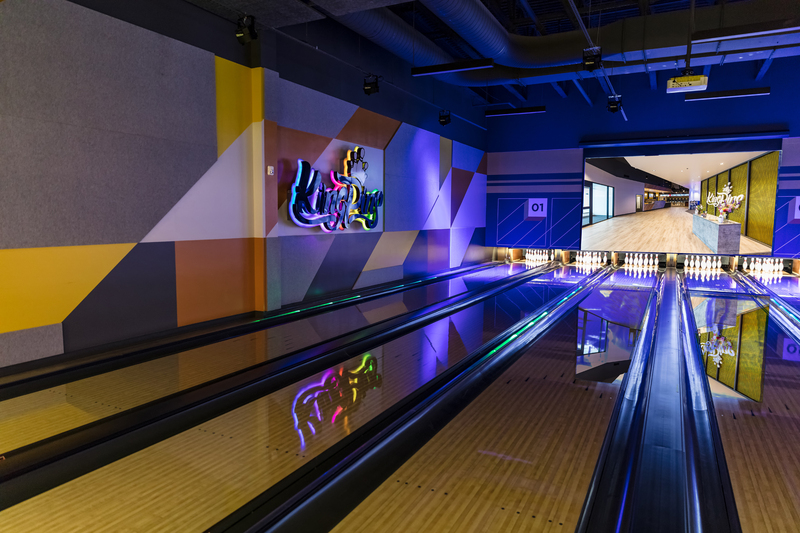 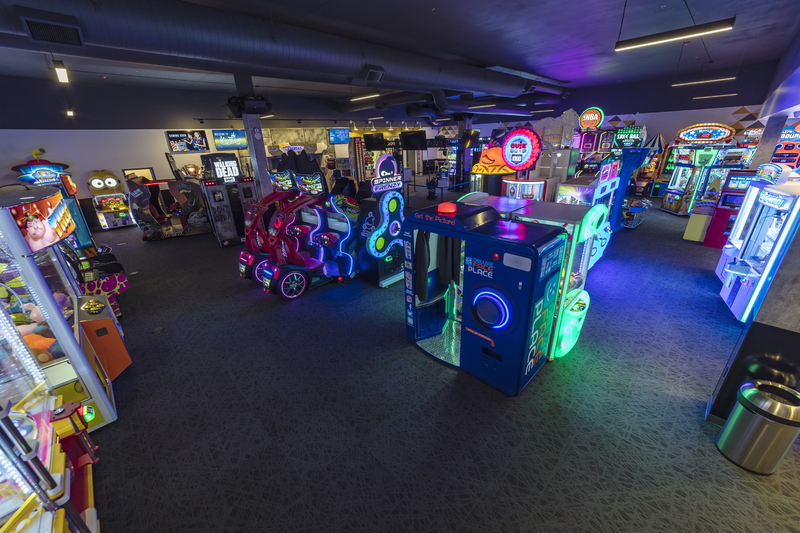 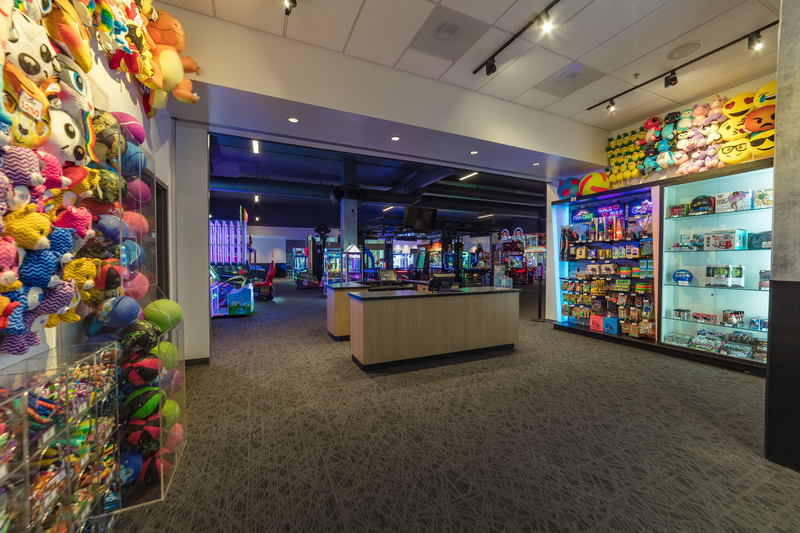 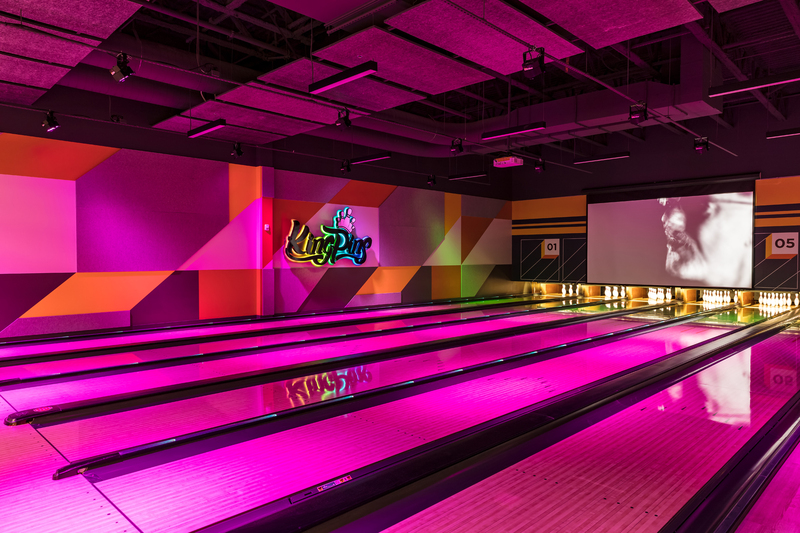 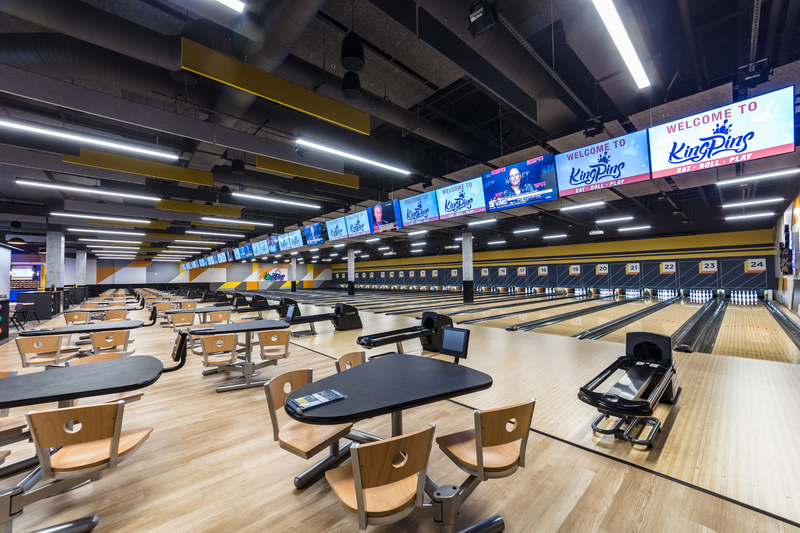 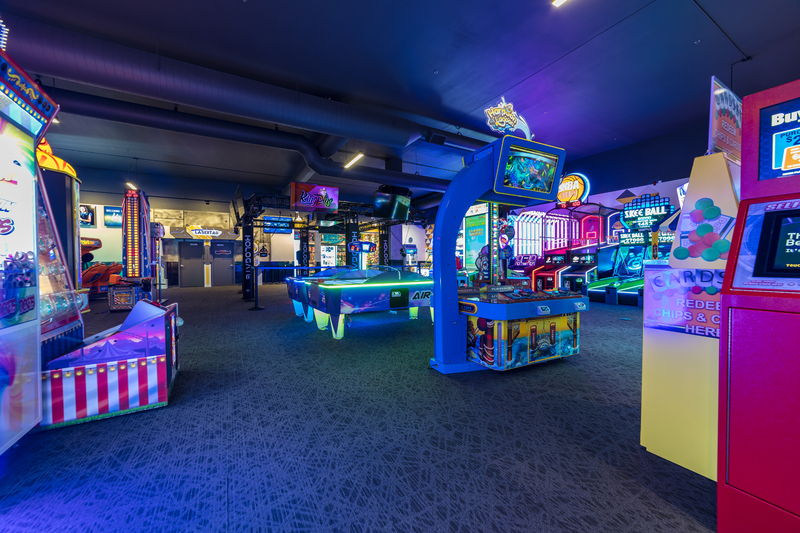 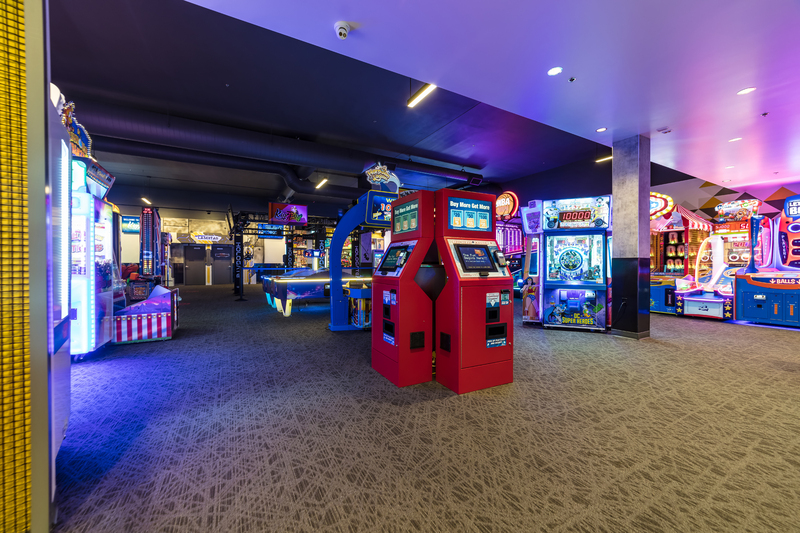 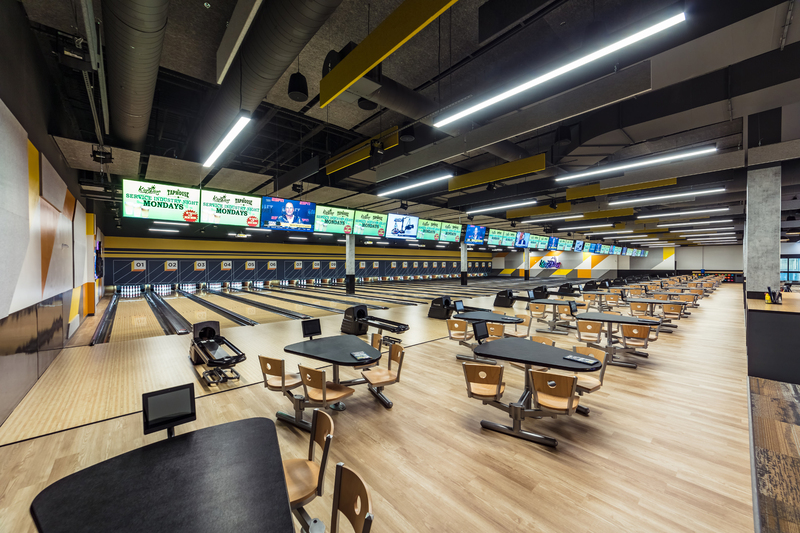 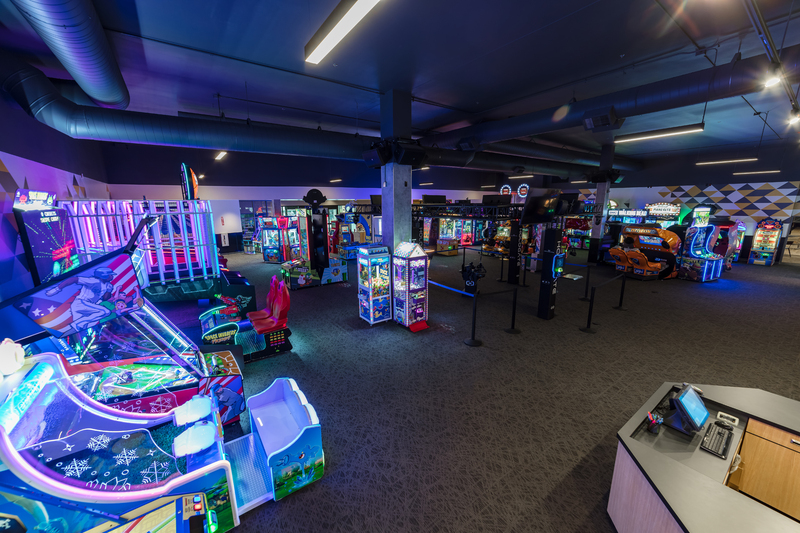 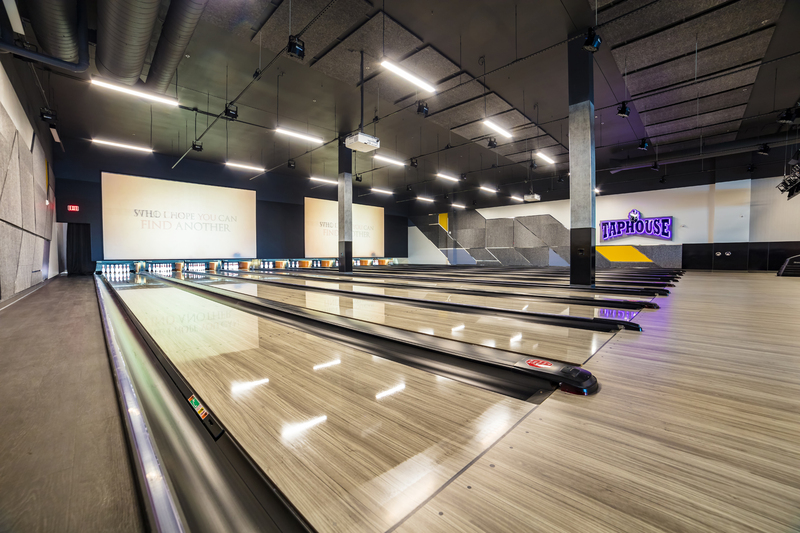 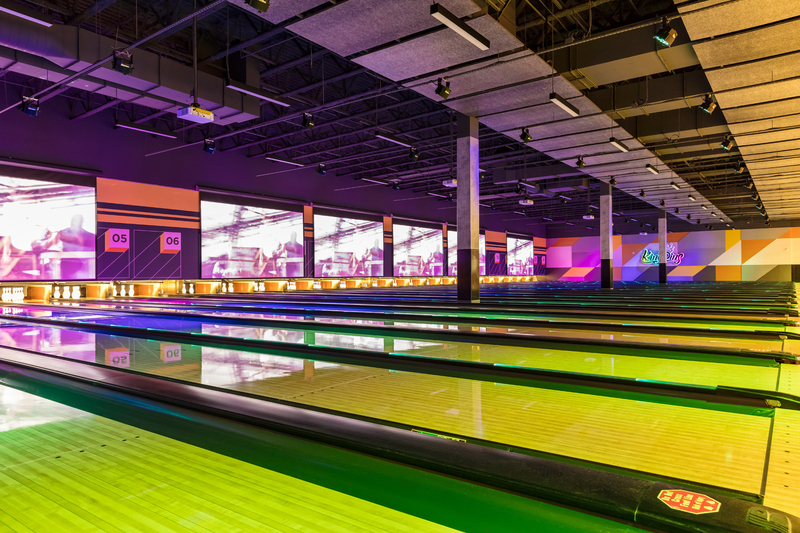 Bowling, Laser Tag, Arcade, Taphouse. 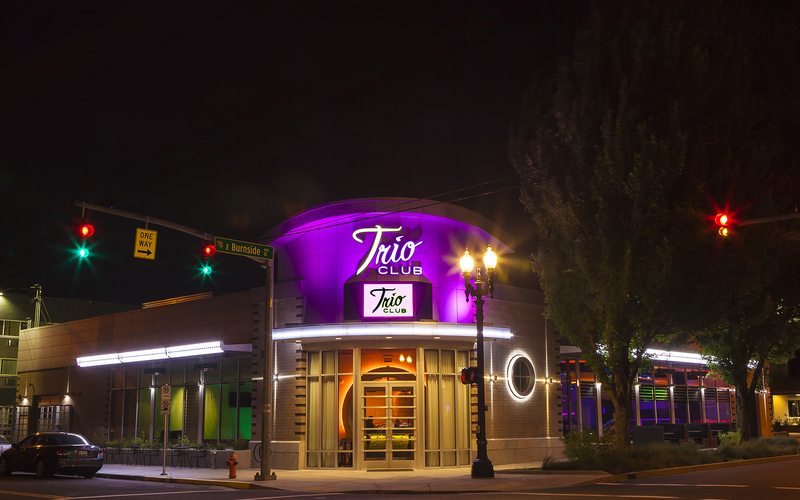 8,000 square foot restaurant, lounge, bar and karaoke club located in the heart of East Portland on 9th and Burnside. 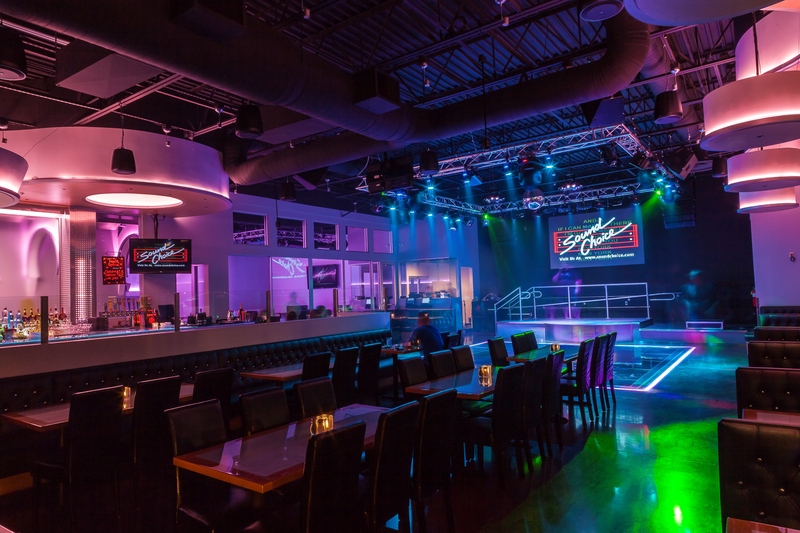 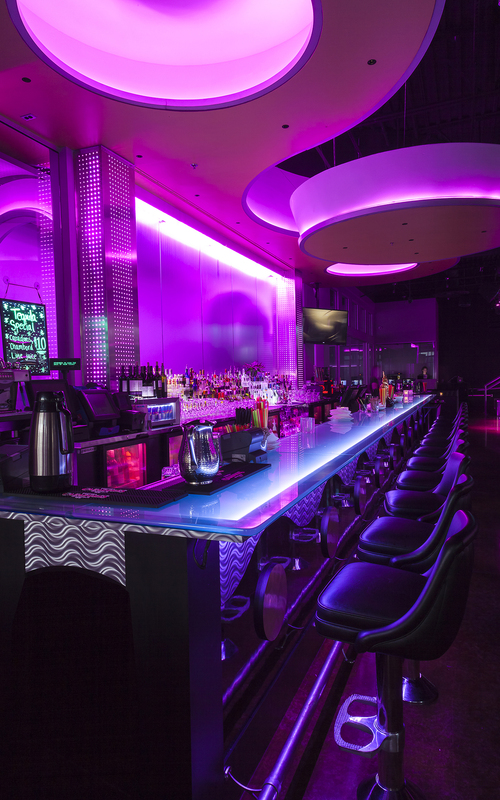 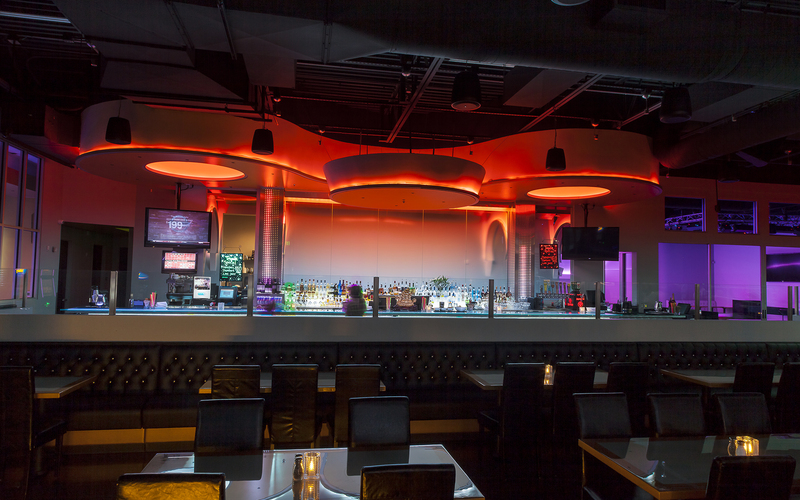 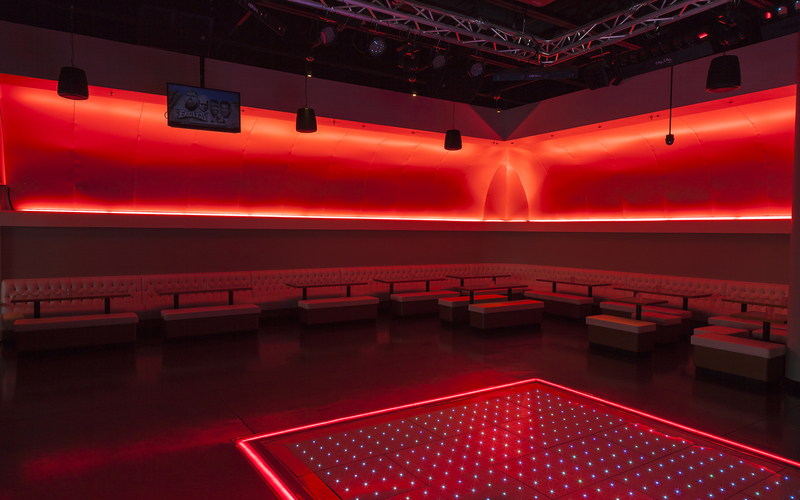 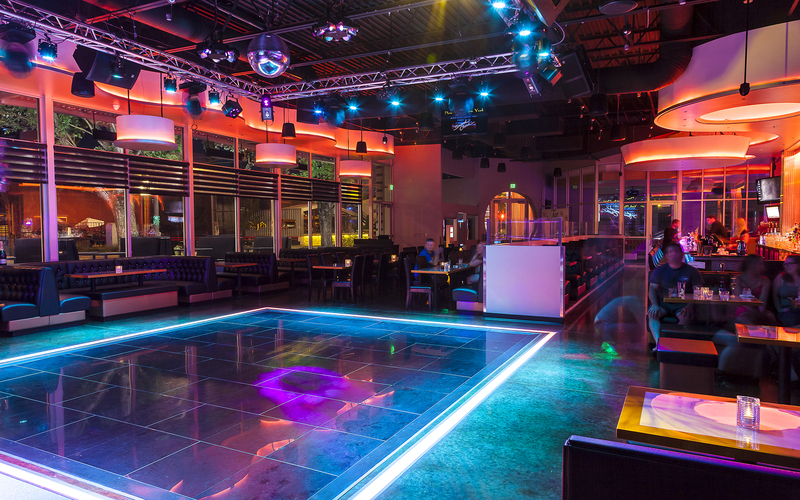 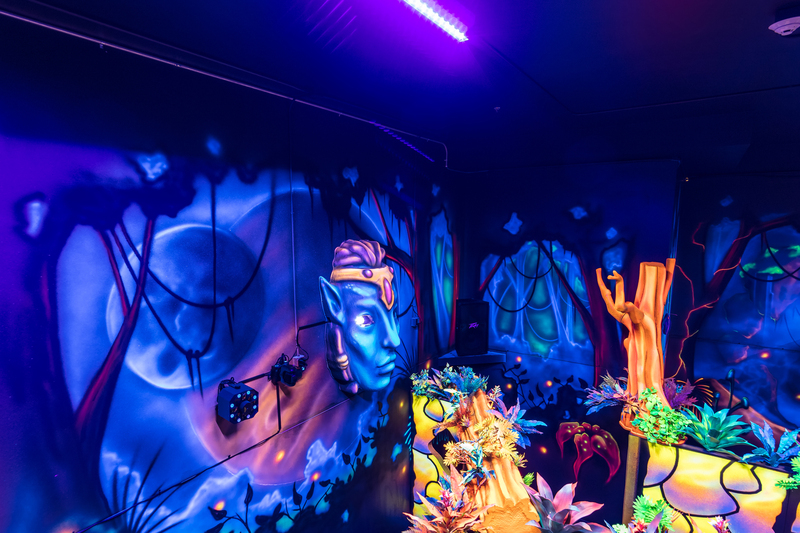 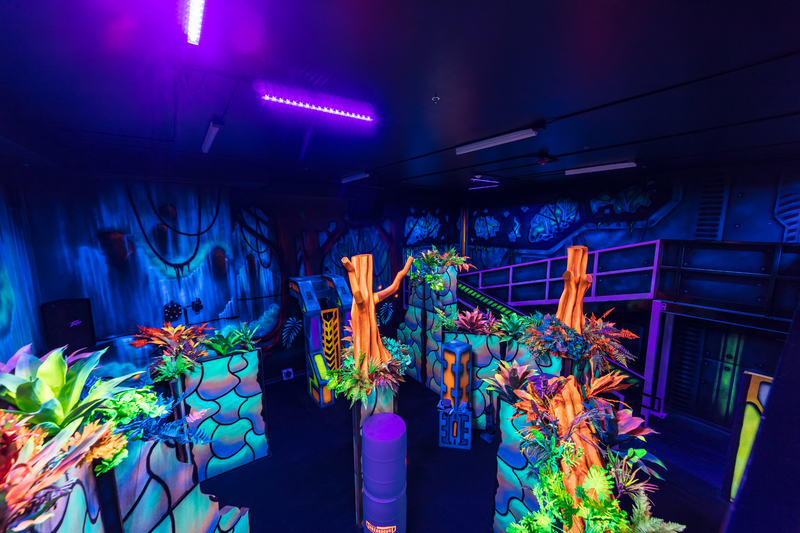 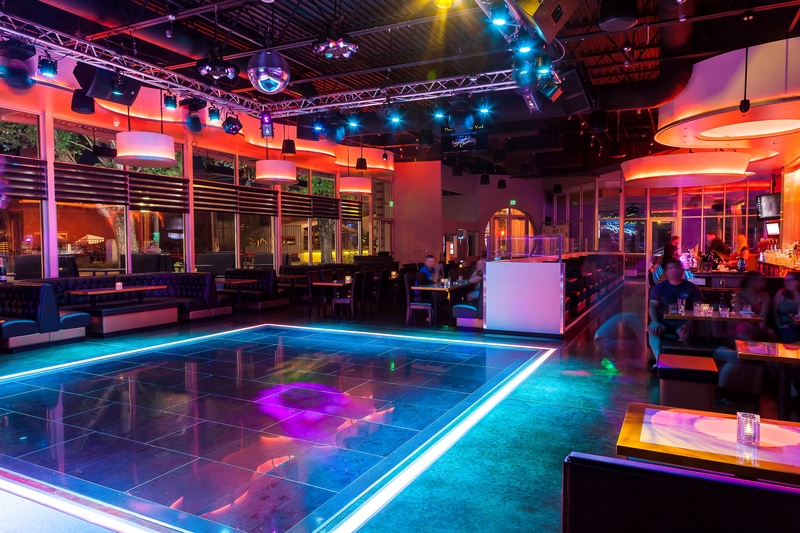 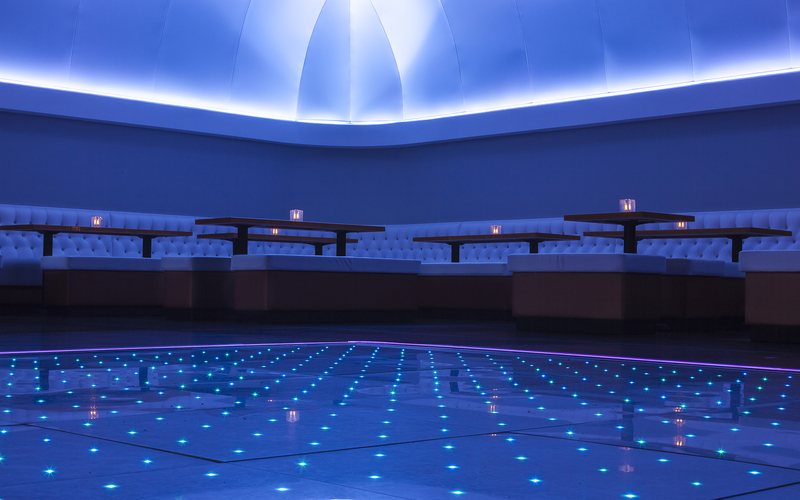 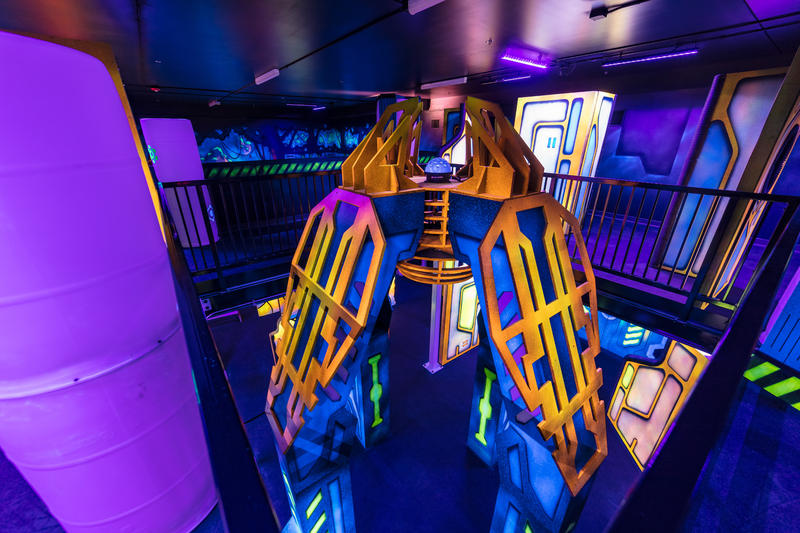 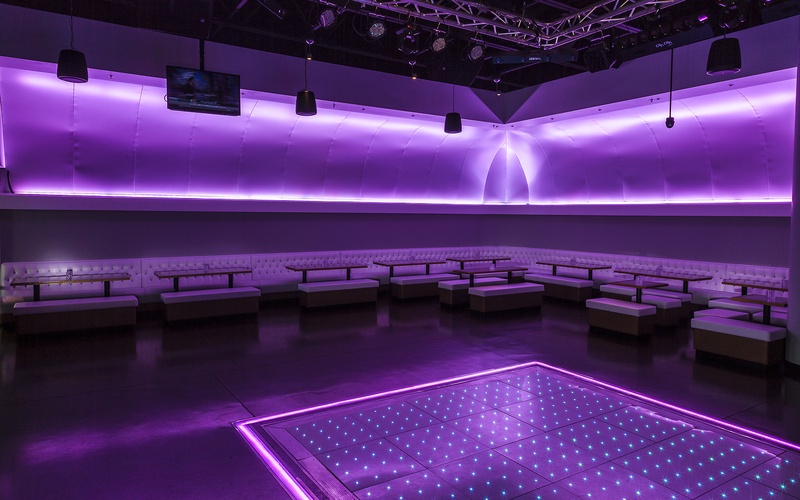 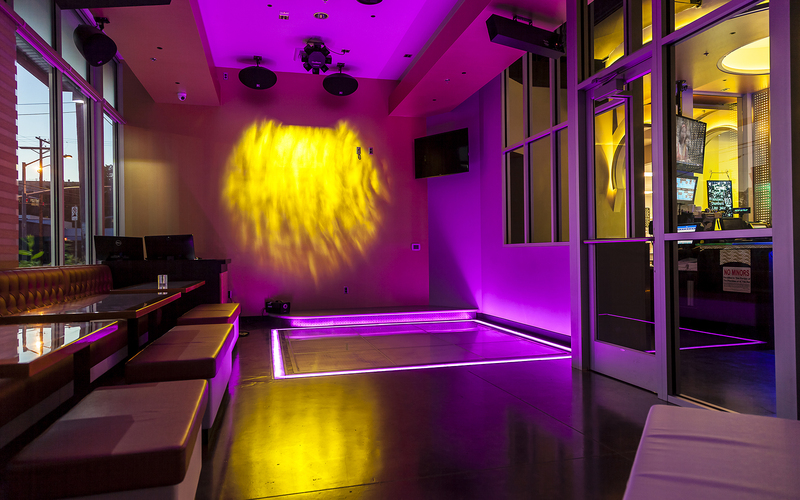 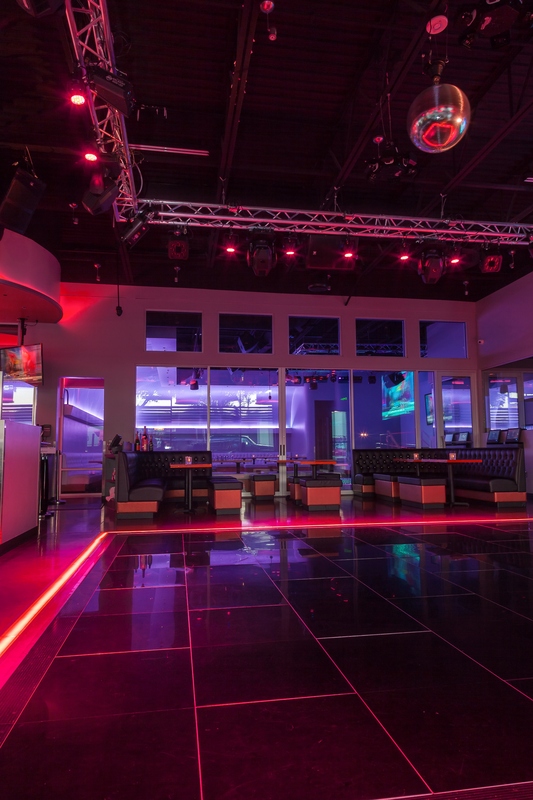 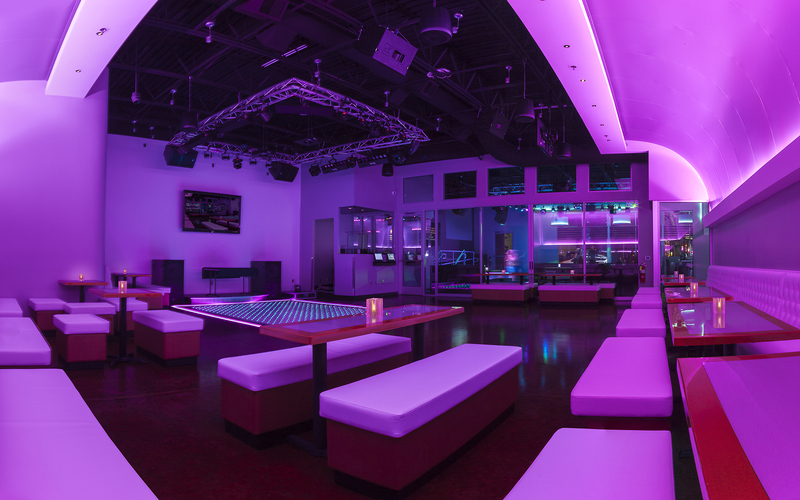 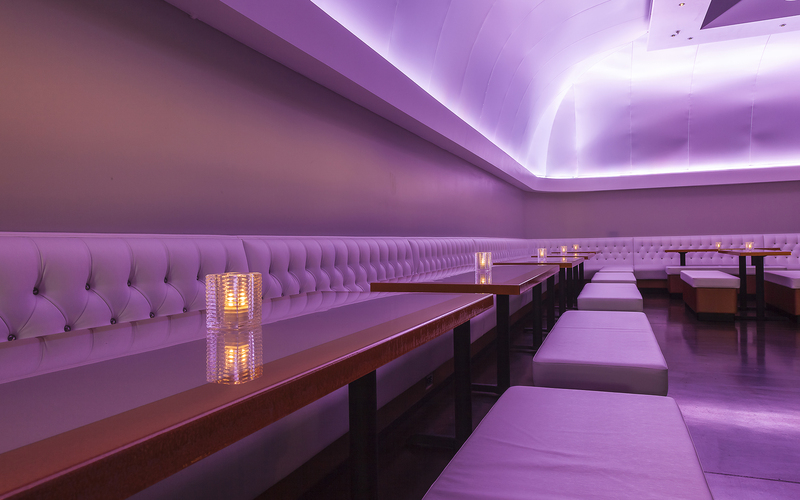 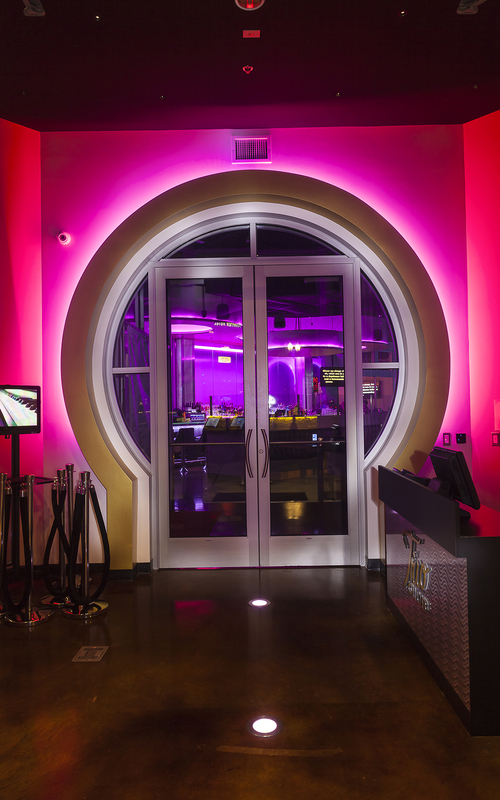 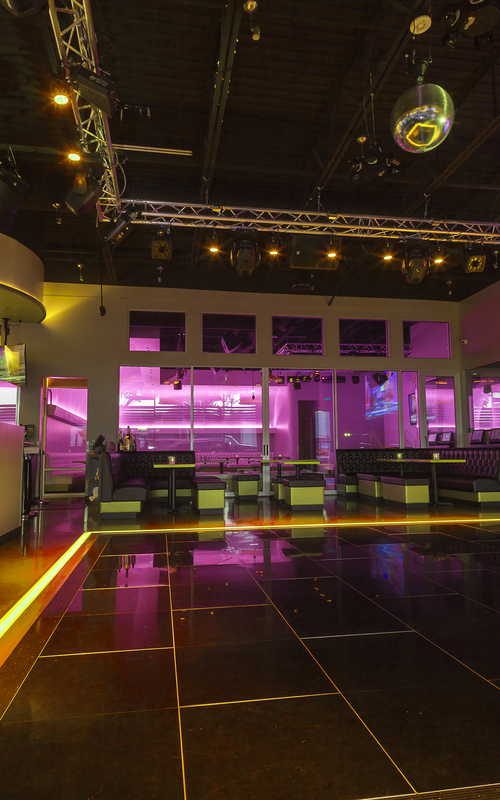 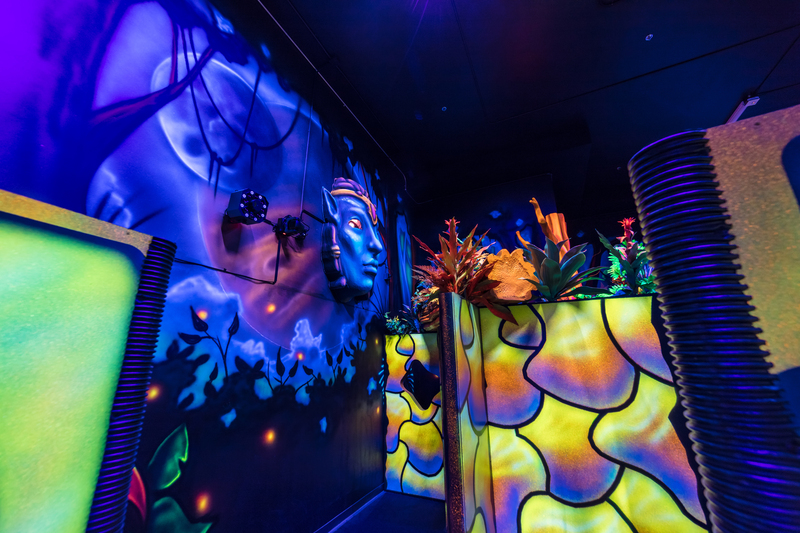 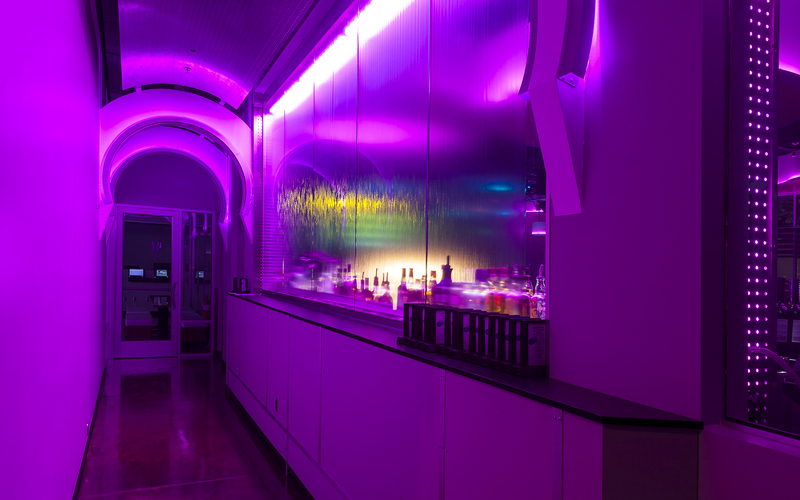 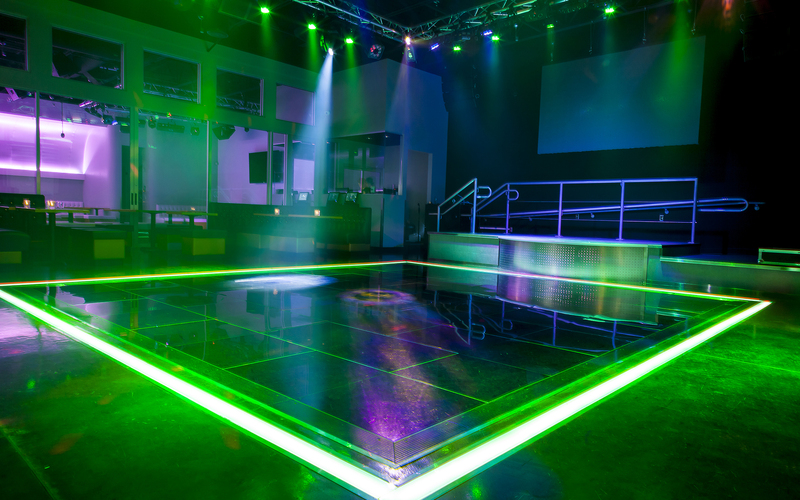 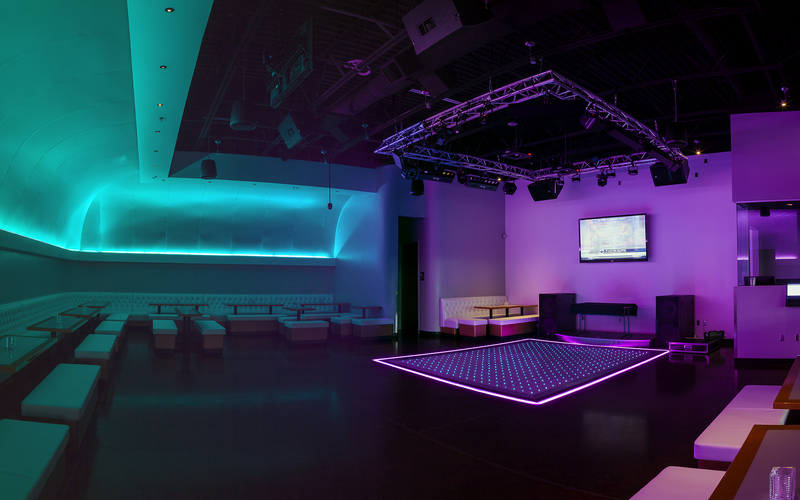 Metallic paint, premium sound and custom LED and DMX lighting throughout gives the club a “mini” Vegas feel. 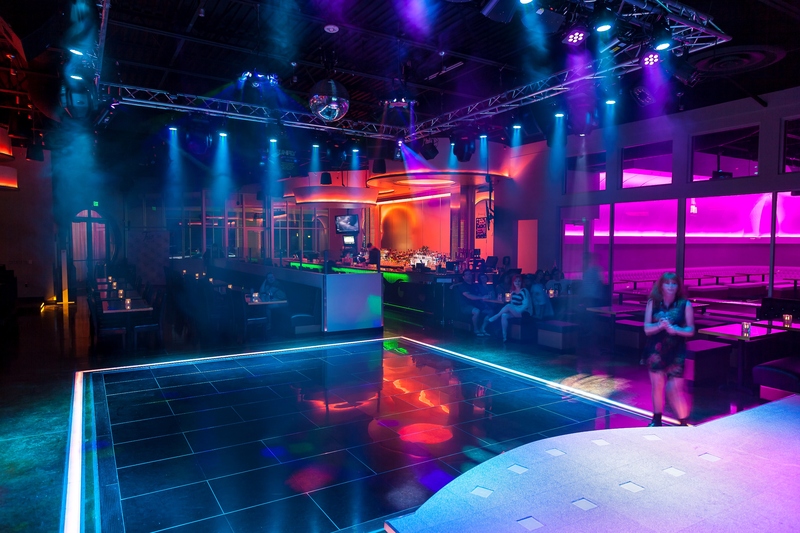 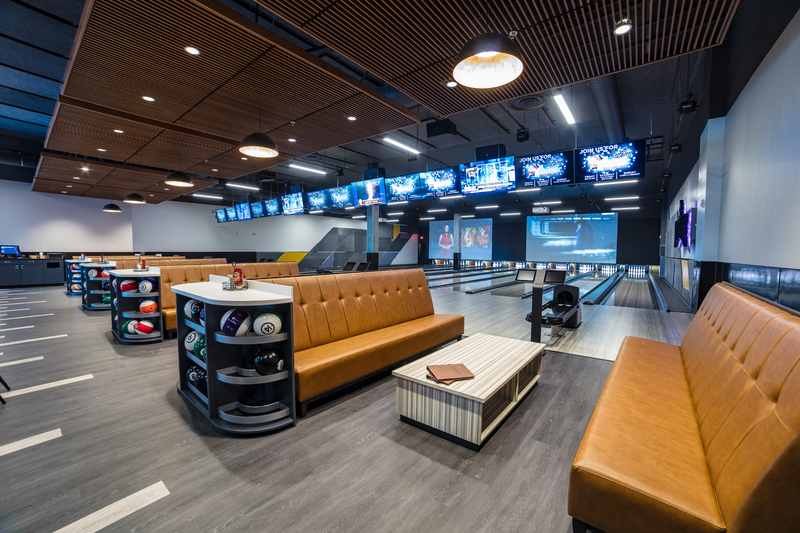 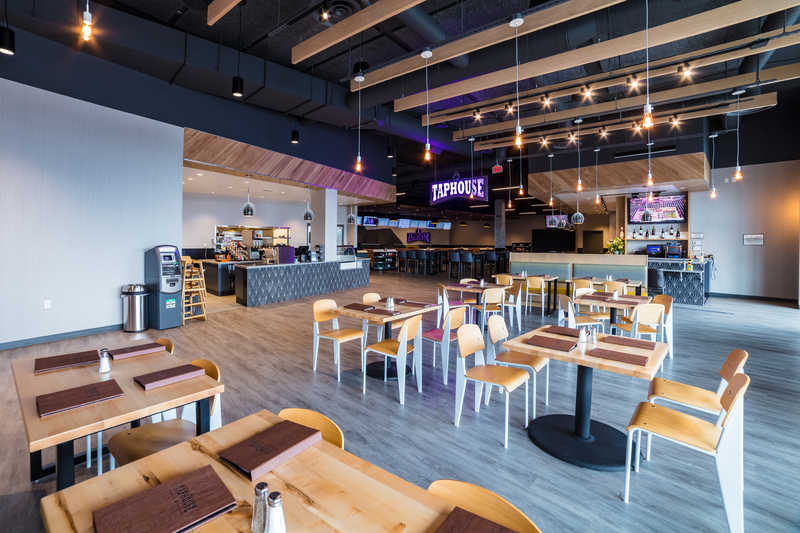 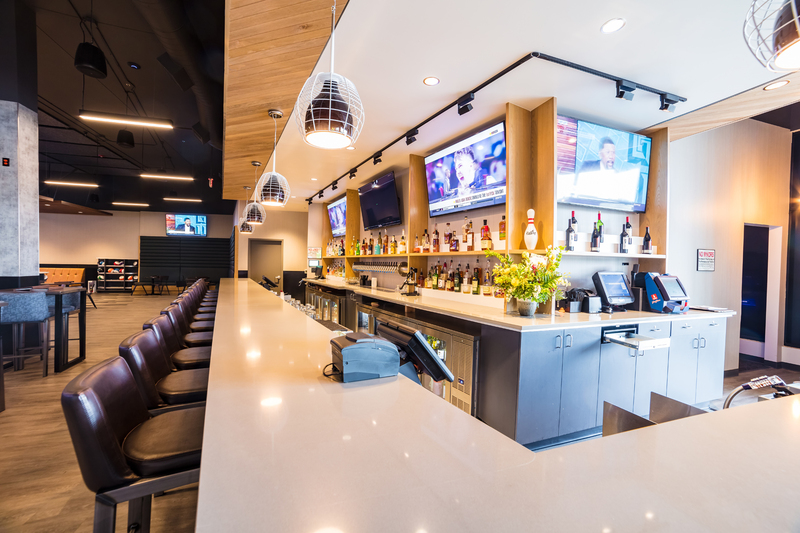 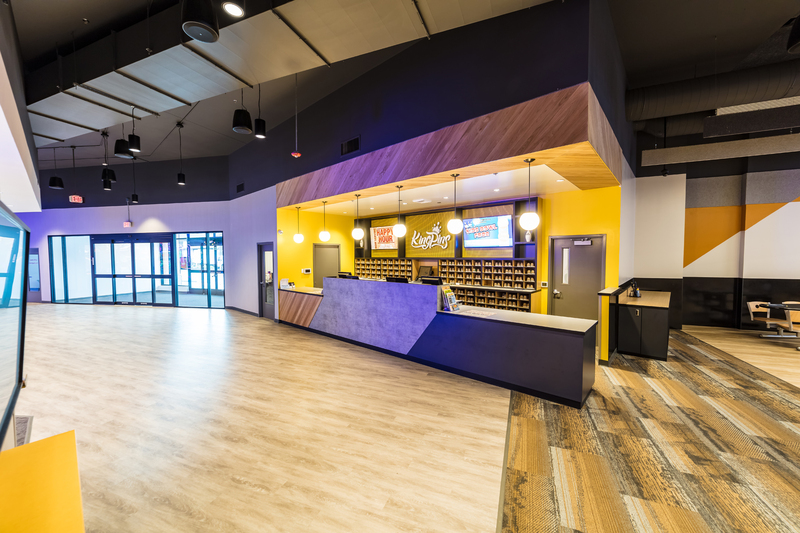 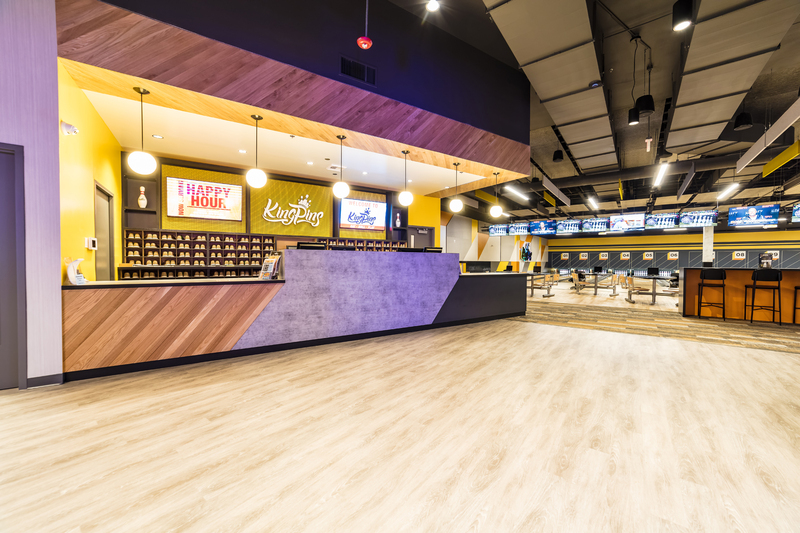 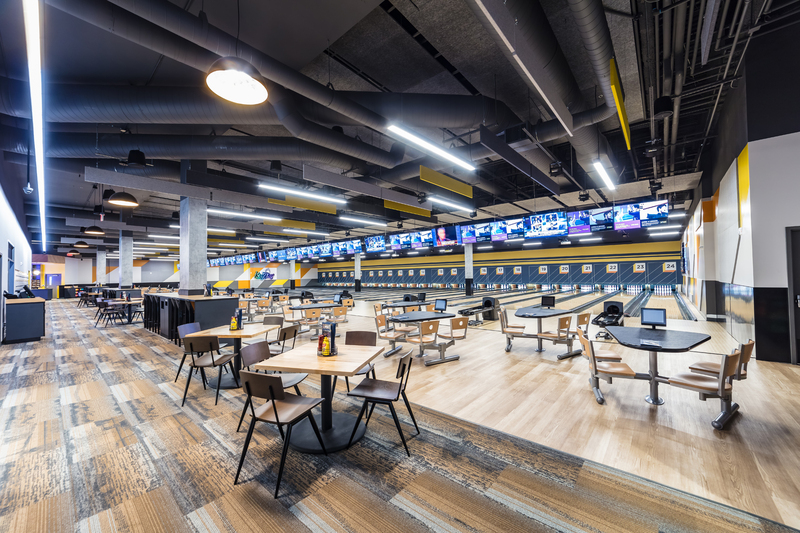 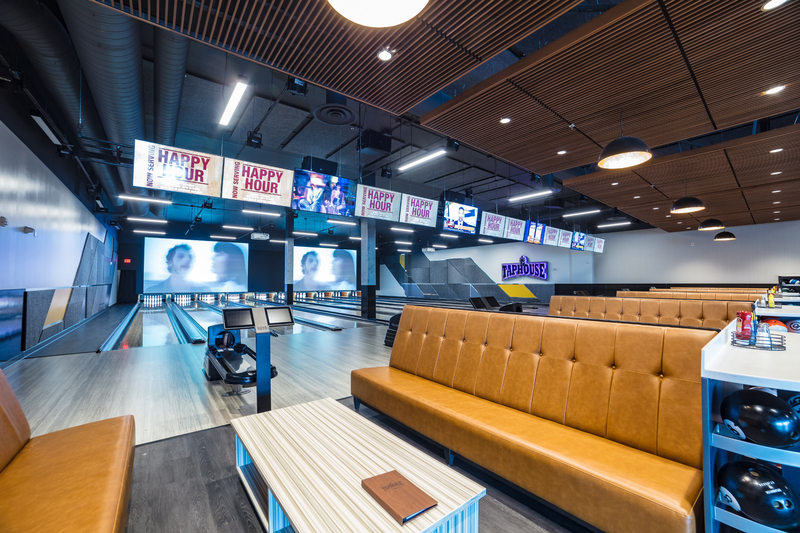 The project includes a full service kitchen and bar, 3 recessed dance floors with trough lighting, karaoke stages, and high end finishes throughout. 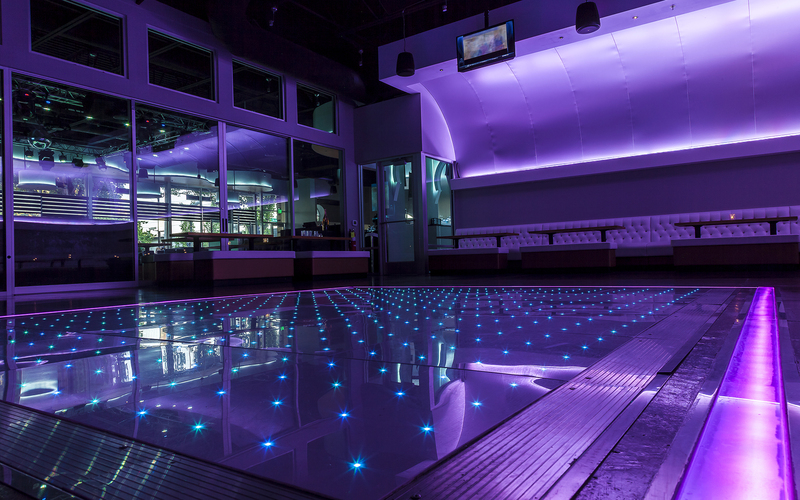 One of the projects focal points is the 18’x8’ lighted custom glass / water feature.